Over 180 of your favourite Makies (and some brand new ones, too!) are bringing their beautiful handmade goodies back to the PNE Forum for our fabulous spring show! Stock up on accessories, jewellery, clothing, art, home decor, food, baby/kid items, and lots of other beautifully crafted goods. 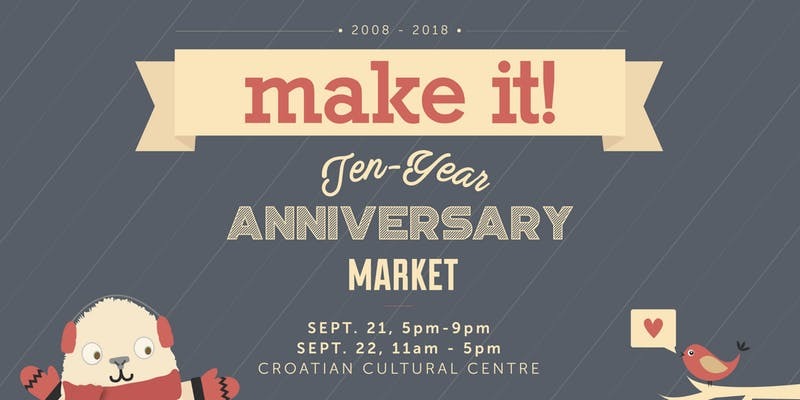 Everything at Make It is made with ♥! Feel good about what you buy, while being inspired by our Makies' creativity. We're told by our customers that Make It has the best energy because everyone is so excited, grateful, and happy to be there!